Heun is now 14 years old and growing into a beautiful woman. Two years the THPC Health Team sent her to Thakhek for an operation on her mouth. She had a cleft lip and you could see her teeth through the lip. Now she can speak much better and is more confident than before. The work is not finished yet – she will go for another operation on her palate. 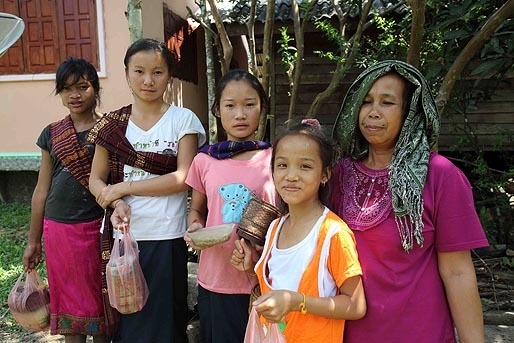 Heun has benefitted from the close attention THPC gives to people in resettlement villagers. If there is a way to help those with special health needs, the company tries to find it. Since the operation improved her appearance, Heun (far left on right photo) has gained confidence and she socialises more than before. She is now waiting for one more operation that will help with her speech.